Learn how to kick start your cost reduction project with our free eBook. Based on actions that are part of the methodology taught in the Cost Reduction Method, this short book gives you some actionable steps that will help you to get results as soon as possible. Cost Reduction Method is a structured process for reducing costs in a business or organisation. Read on to find out how the Method can support your cost reduction project. The Cost Reduction Method is a framework for reducing costs in small and medium size businesses and enterprises (SME). It is designed for quickly getting results. The Method has delivered outstanding results across various sectors and industries. These are often well in excess of expectations. 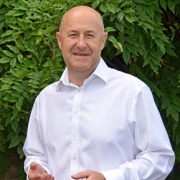 Tim Lawson is an experienced cost reduction consultant. He has delivered many significant cost reduction programmes across a wide range of business types in a number of industry sectors. 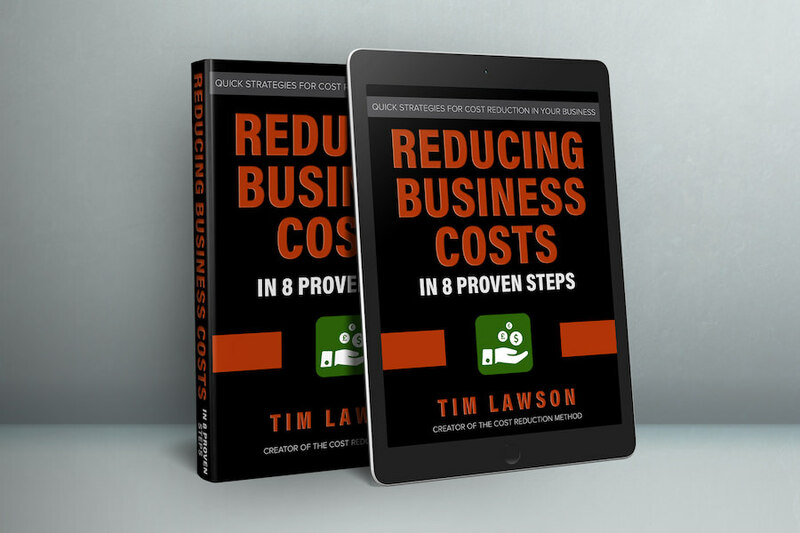 “I have used the Cost Reduction Method to significantly reduce costs in many businesses and organisations. The methodology provides a structured approach to reducing costs which leads to increased profitability. Are you asking these questions? Read on to discover how the Cost Reduction Method can help. Can I reduce costs in my business? You will undoubtedly reduce your costs if you implement a structured cost reduction programme. This needs to be a wide ranging review of all business costs and must engage all parts of the business. How does the Method work? The Cost Reduction Method has been developed over a number of years, building on many successes in substantially reducing costs. It focuses on delivering a low, sustainable cost base for a business. Can I use the method myself? At the moment the Method is only available for delivery by Tim Lawson and our associates. We are working hard to produce an online programme of the Method which can be self-implemented by any business manager. This site will host the training and tools that are needed to do this. Can I become an Associate and deliver the Method? We welcome enquiries from potential associates and affiliates from any country or industry sector. Please make contact with Tim to initiate a discussion on your circumstances and thoughts on what you wish to achieve. This methodology has delivered cost savings far beyond my expectations. Tim is a skilled practitioner who always delivers. Tim’s drive to reduce costs is exceptional. His methodology delivers results across many diverse procurement categories. Cost Reduction Method and The Method Academy are trading names of Lawson Consulting Ltd.